There are two bibles of the Allen Townsend Family. The first, and oldest, is dated 1829. 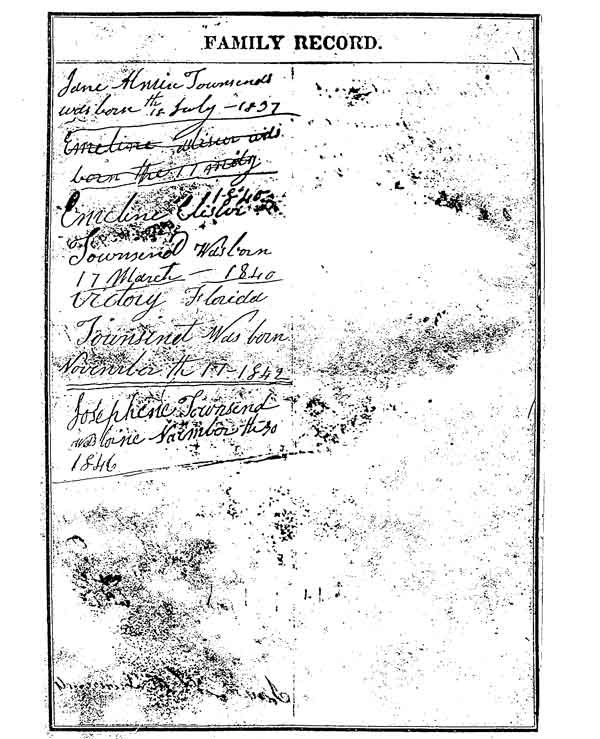 It is believed to be the original bible and is in the possession of Patricia Goodbread Smith of Edgewater, Florida. She is the great, great granddaughter of Allen Townsend thru his son, Joseph. 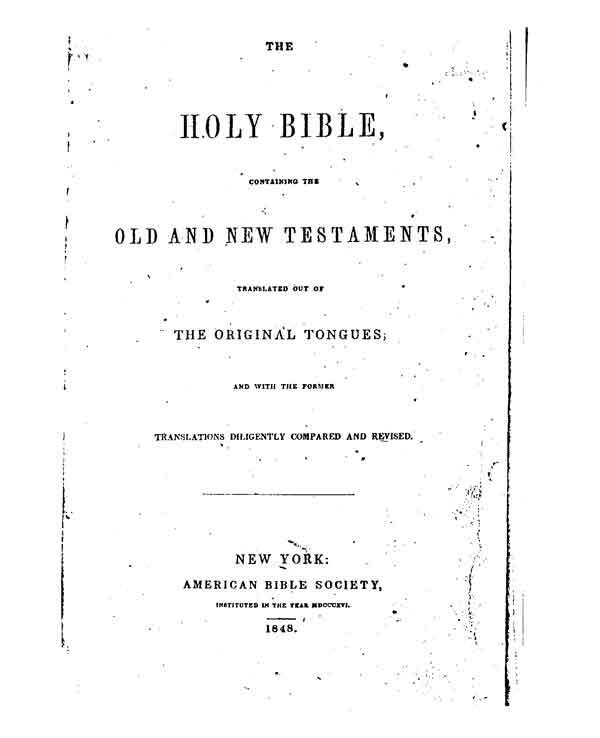 A second bible with publication date of 1848 was last in the possession of Mrs. Blanche Duval Smith, a great grand daughter of Allen Townsend, who lived in Live Oak, Florida. 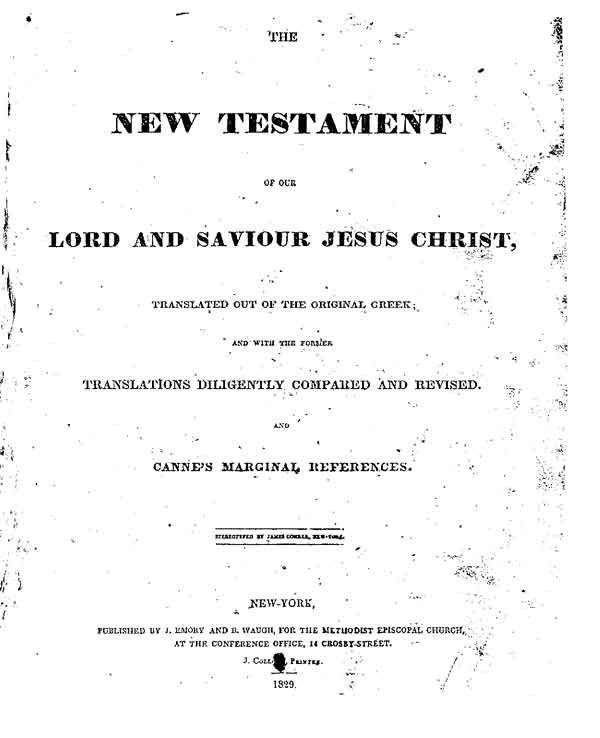 It contains much of the same data as in the 1829 bible plus additional information. 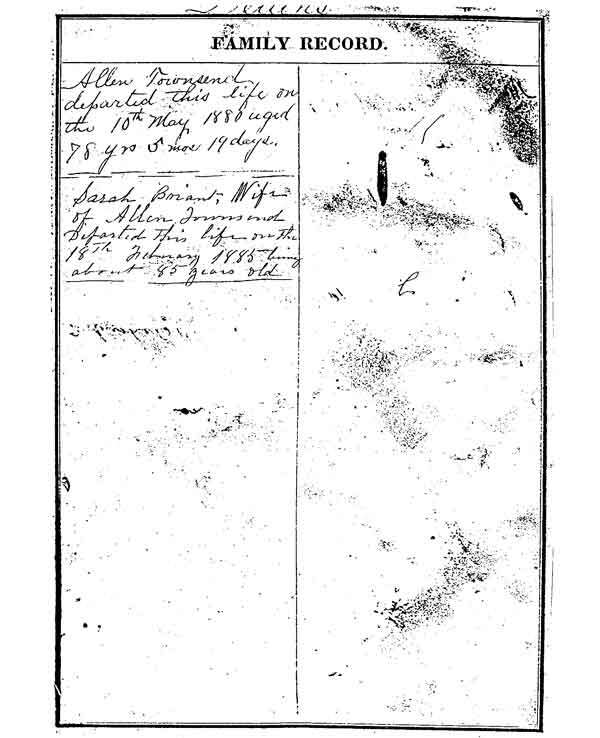 Allen Townsend and Sarah Townsend was maried May 30th 1821. 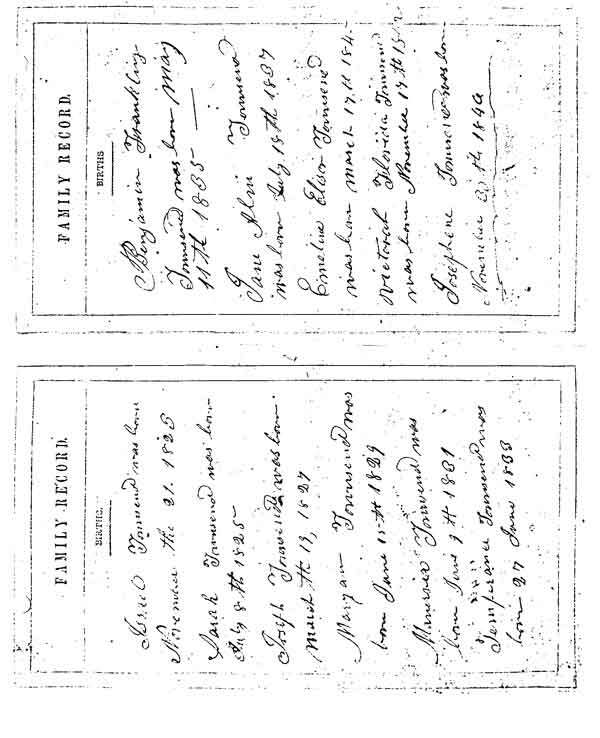 Minerva Townsend was married April th 29 1847. 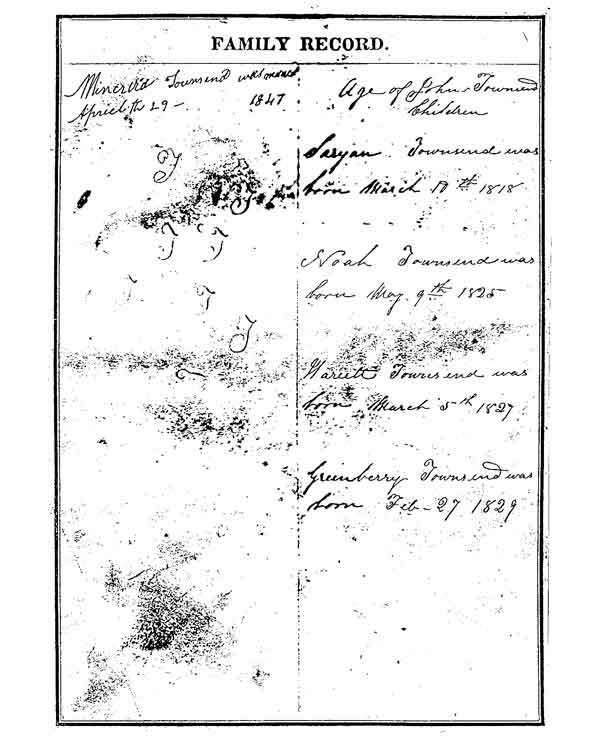 Allen Townsend departed this life on the 10th May 1880 aged 78 yrs 5 mos 19 days. 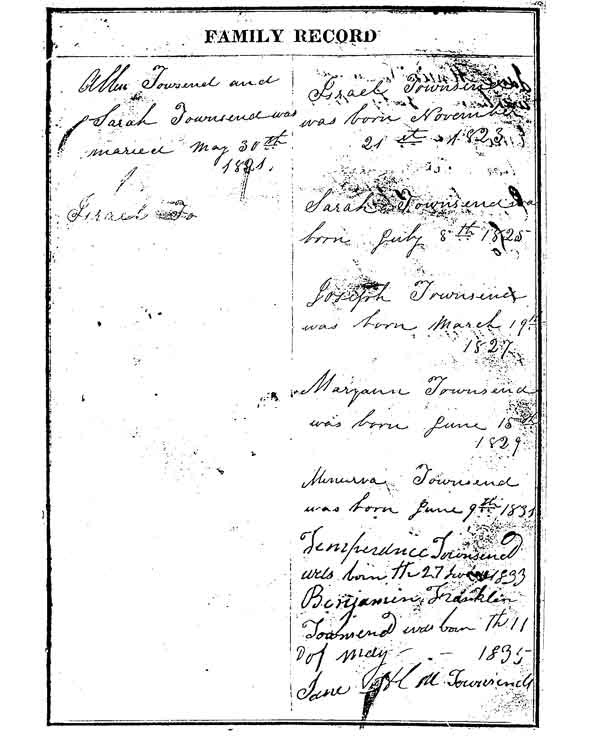 Josephene Townsend was born November 30th 1846. 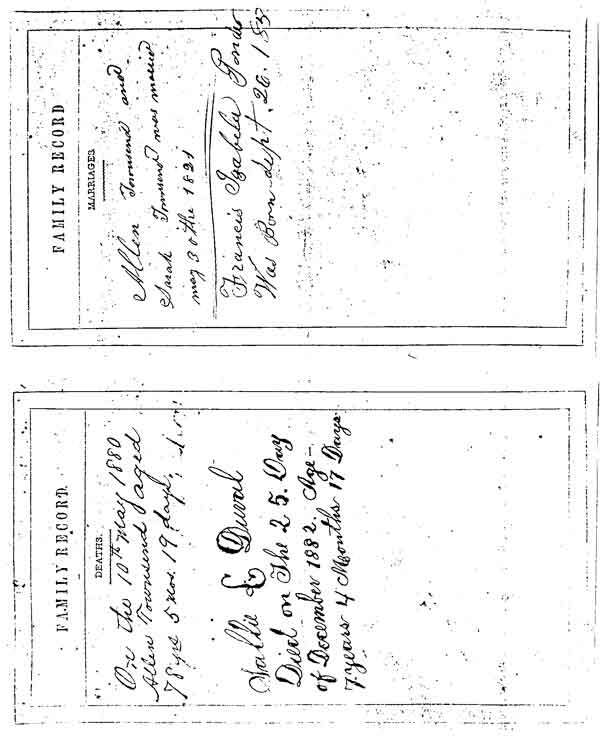 Sallie L. Duval Died on The 25 Day of December 1882. Age 7 years 4 Months 17 days.